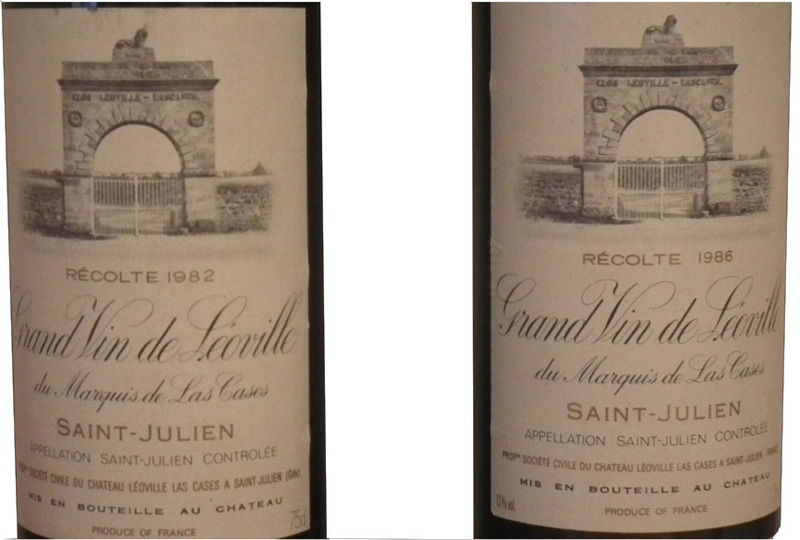 Two vintages of Léoville Lascases over the weekend gave me pause for thought about the view that 1982 was the vintage when Bordeaux made the transition from the “classical” to the more “international” style. The 1982 vintage in Bordeaux was super-ripe, perhaps unprecedented if you ignore 1947, but around year 2000 I noticed that the wines were losing their lushness and reverting to type, by which I mean that the overtly fruity character was replaced by something more savory, even in some cases hints of herbaceousness (but only hints given the ripeness of the vintage). If the wines were sometimes difficult to relate to past expectations when the vintage was first released, since 2000 they have been increasingly displaying classic balance of savory fruits and lightness of being. The 1982 Lascases today is very much a classic in the modern idiom – meaning it shows the same flavor profile, increasingly moving in a savory direction, as earlier great vintages, but has the extra level of ripeness of the modern era. 1986 was not so highly rated as 1982 as a vintage in Bordeaux (Parker gives it 94 points compared with 98 points, for example) and some of the wines seemed a bit tough on release. Léoville Lascases was a standout for ripeness, and today gives an impression of first growth richness and power. It seems to be aging at a snail’s pace, and in a blind tasting might well seem ten or more years younger than the 1982. I wouldn’t exactly call it “international” but it really is a far cry from classic Bordeaux; and unlike the 1992, I do not think it will revert to classical type. For me, these two wines typify the difference between classic and modern Bordeaux. I have never seen the tipping point so clearly demonstrated. Very much a wine in the modern idiom, showing the power and weight of a first growth; evident why it is a 100 point Parker wine. Scarcely shows its age. Still dark, even some purple hues. Must have been massive when released as it’s still full of flavor; loaded with black fruits, supported by smooth chocolaty tannins, but there’s that typical Bordelais lift at the end to keep it fresh. Nose is complex but palate is only just beginning to develop. In terms of tannins, it’s ready, but in terms of flavor, still has a way to go. A classic impression, with the leanness of St. Julien leading into smoke and minerality. Now really reverting to type. Original black fruits are more evident on nose than palate, which is moving in a savory direction. Acidity is pretty crisp. Complexity comes out slowly in the glass, with layers of flavor developing as the fruits show their ripeness, with a very faint sense of herbaceousness providing a counterpoise in the background. There were many surprises in this week’s vertical in New York of Léoville Lascases from 2000 to 1982, with some vintages failing to live up to past promise and others surpassing it. The 2000 seemed a little closed to start with, but then opened out to show classic elegance and precision, a complete contrast with the lush reputation of the vintage. The 1999 and 1998 tried to emulate its style, but simply do not have enough fruit (and are clearly going nowhere), but the 1997 showed a surprisingly silky attractiveness (but drink it up quickly). I have not previously been so impressed with 1996 in the Médoc, which has sometimes seemed to have too much acidity, but the Lascases has really come around: a bit reserved at first, it became ripe, sweet, and silky in the glass. As has been true for the past decade, the 1995 is more open and immediately attractive, but without the stuffing for future development, although it hasn’t faded yet. The 1990 was a conundrum. A few years back, I thought it had it all, with the density and richness of the vintage, but also acidity and tannin to hold. This time it opened with contradictory notes of herbaceousness and over-ripe fruits, and then cleared to show a complex palate with broad, warm flavors. Going back to the eighties, herbaceousness is still the name of the game. 1989 and 1990 are often regarded as a pair, but the 1989 was completely different: herbaceousness conflicted with over-ripeness, as it did to begin with in 1990, but then it turned clearly in a herbaceous direction; 1988 took this trend further. Previously 1986 has appeared to have the structure to mature in a classically elegant direction, but this time seemed reserved and dried out. I could not detect any flaw, but still wonder if this might have been an off-bottle. 1985 is back to the warm style, 1983 a surprise in its elegant reminiscence of Margaux in this vintage (and previously I had thought it was reaching the end of its life). The 1982 is a knockout. Previously it had seemed to develop a bit too rapidly, but this bottle was precise and elegant, with an impression of refinement and even delicacy. Real claret. The wines fell into three distinct groups. I could see a clear lineage in my preferred group from the 2000 back to 1996 back to 1982. It’s perhaps not surprising that 2000 should show resemblance with 1982, but I did not expect 1996 to fit into this group. These typify St. Julien. The most traditional flavors came from 1989, 1988, and 1983, with perceptible herbaceousness, but balanced by the greater richness of the palate in a way that was not possible in the prior decade. By popular acclaim, the preferred wines were 1990 and 1985, both showing broad, warm flavors. To my mind, this shows the Parkerization of taste. These are lovely wines, but they could just as easily come from Pauillac as St. Julien. They are the New Bordeaux, with power prized over elegance. For me, the precision of 1982 could come only from St. Julien, and that’s what it should all be about.